Crowe LF Ukraine has grown from OMP Tax & Legal, a dynamically developing Ukrainian law firm with a tax specialization. As of today, the firm’s team includes more than 30 highly specialist professionals in the areas of law, accounting and audit. Our firm provides full legal support to Ukrainian and international companies in the area of taxation. An important focus of work is international tax structuring, which has accumulated solid experience and marked a significant growth due to the professionalism and support of partner Roustam Vakhitov. For the purpose of quality implementation and proper protection of the company’s solutions, our service portfolio includes: advanced expertise in the areas of currency regulation, contractual, corporate, labor law, intellectual property, transfer pricing, tax audit and due diligence. The integrated and comprehensive solution of the customer issue is the main priority in our work. As for today Crowe LF Ukraine successfully challenged in the court the results of tax inspections of some large companies, which is an outstanding fact in the current Ukrainian reality. In 2017 OMP Tax & Legal change its name to Crowe LF Ukraine as it became a member of Crowe Global, a network of accounting and advisory services firms ranked among the TOP-10 audit firms in the world. One year earlier it co-founded Crowe Horwath AC Ukraine, an audit, accounting and tax consulting company, also a member of Crowe Global. The network is represented by 200 offices in 130 countries. The key partners of the firm are: Dmitriy Mikhailenko, Leonid Karpov, Roustam Vakhitov. 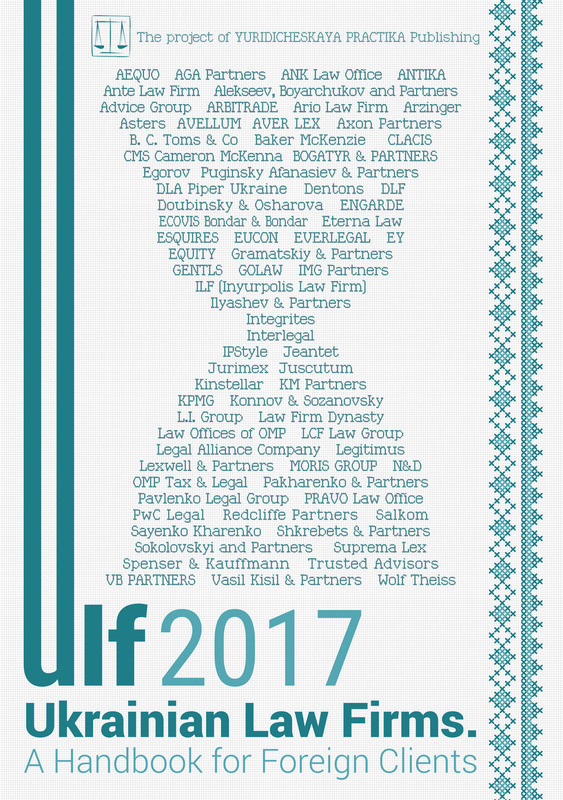 In different years the firm`s partners ranked among the TOP-100 best lawyers in Ukraine. They are recognized experts in the area of taxation, participate actively in the work of public councils of the State Fiscal Service, the Verkhovna Rada Committee on Tax and Customs Policy, the State Registration Service, tax committee at the Ukrainian Chamber of Commerce and Industry, Union of Poland Entrepreneurs in Ukraine, are advisors to the IT Committee of the European Business Association. Our partners are members of the editorial board of professional journals and arrange and participate in conferences on professional issues. Over the past five years we have seen evidence of a global shift in comprehension of approaches to international taxation. As both business and tax professionals have got used to that it shall inevitably end up with the shrinking of taxes as we now painfully face the simple truth when it is being transformed into rather correct arrangement of real business. We still believe that this trend will inevitably pay dividends for the whole of society as both business would profit from failed competition (namely, honest taxpayers would not be undermined by their unscrupulous rivals) and Governments would profit from an extension of the income basis. The first sticking point arose right after the FATCA obliged overseas Governments to provide the US with information connected with their tax residents. The world regarded it as a drastic crackdown on banking secrecy. However, soon this initiative was soaked up by the OECD, now backing a global initiative called automatic exchange of information (AEIO) of the same nature. Literally, as from FY2017, when the AEOI will consist of 100 countries (including the entire EU, Russia and almost all the classic offshores, but currently excluding Ukraine, which has expressed its willingness to participate) we might proclaim banking secrecy dealing with large companies as dead, as all financial data relating to passive companies with an annual turnover of at least USD 250K would be referred to the jurisdiction of their beneficiaries in order to be properly taxed there. The others promptly followed suit: it is particularly worth mentioning BEPS, another initiative aimed at amending DTTs and local legislation in order to avoid aggressive tax models involving classic offshores, shifting profits to low-tax jurisdictions, minimizing the tax effect of personal relocation to countries offering attractive personal taxation regimes (like Cyprus, Gulf countries, Monaco, Andorra, etc.). For example, in the EU it ended up with adoption of the Anti Tax Avoidance Directive (introducing, inter alia, the thin capitalization rule, exit taxation, CFC-regime etc.). When it comes to practice we might as well recall notable tax cases involving Amazon, Starbucks, Fiat and eventually Apple, claiming the payment of huge amounts of back taxes, though initiated against states rather than companies themselves in allegations of distortion of competition. Getting back to Ukraine, we can trace our recent transfer pricing developments broadening of criteria for controlled transactions and rumors of introduction of CFC and joining the AEOI. In practice they continue coming down on shame agreements and shell companies. On top of this the National Bank of Ukraine is now the most successful authority fighting against the outflow of capital and tax evasion itself through application of Resolution No.369 of 15 August 2016. Society itself is idle. We may, inter alia, refer to the Panama papers, Luxembourg papers, Wikileaks, etc. which made us aware of significant tax evasion involving PEP and resulted in major resignations. — development of substance when it comes to overseas companies which result in moving of at least senior staff and the sales team to the jurisdiction where the main trading company is located. Certain Ukrainian businesses are reluctant to modify their structures under the influence of recent changes and still go with the flow, while others are developing fresh concepts which may soon become classic ones for tax planning. The only consequence of this reluctance, though, is the substantial risk of significant tax adjustments in the future. We see the Ukrainian tax authorities becoming more and more efficient and knowledgeable in challenging Ukrainian international tax planning strategies. We attribute significant risks to these structures since they may be vulnerable both for unfriendly acquisitions and attacks from the Government itself, and thus less attractive for strategic investors. Though recent changes are going ahead we now lack bulletproof solutions which would definitely withstand any kind of challenge from any side. These constant developments somehow prevent both business and tax advisors from accepting drastic measures like putting the past behind them and starting everything from scratch. From this point of view we badly need specific legislation releasing those businesses which disclose their past violations and adhering to new standards, as well as reliable and binding procedures for defining safe harbors for taxpayers willing to cooperate and prepared to conclude agreements/rulings on specific tax positions with the tax authorities. — moving capital from offshore companies to reputable jurisdictions. These actions may involve either direct capital contributions or indirect transfer of capital by redemption of shares, real estate as well as paying dividends or granting group loans. — moving trading companies to reputable though not high-tax jurisdictions like Estonia, Switzerland (while domicile and mixed companies regime are effective), Malta, UAE, Singapore, etc. — step-by-step reduction in use of nominal directors/service which will no longer make much sense due to AEOI and CFC rules. Summing up the above we are sure that at the moment we pass certain milestones in international tax planning which should show whether it will survive as reformed reality or inevitably die. This requires shifting our perceptions from tax minimization being sometimes close to tax evasion towards assisting in paying our fair share of taxes. Therefore, the sooner we realize and conform to the new reality ourselves the more chance we have to avoid the painful and risky process of being forced to do so by the tax authorities through fines and penalties.